Many millions of years ago a thin slither of land separated from a vast southern continent before the evolution of mammals. Caught between two tectonic plates it was crumpled up to establish a hugely varied landscape of soaring mountains, majestic fjords and tempestuous volcanoes, some of which remain active. Without the presence of mammals the birds took over and before long, geologically speaking, they filled the ecological niches rightfully belonging to mammals. 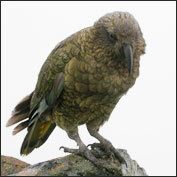 Some, such as the giant Moas, were hunted to extinction but a few quirky ‘character’ birds, such as the Kea, live on and particularly enjoy nibbling at visitor’s backpacks. And then there is the largest parrot in the world… ‘not only has the Kakapo forgotten how to fly, but it has also forgotten that it has forgotten how to fly’, as Douglas Adams said. 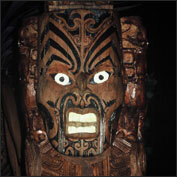 After most explorers had retired, New Zealand was discovered by humans. First to arrive were Polynesians, who turned the local greenstone and native hardwood into intricate handcrafts and ocean-going canoes. Then Europeans, who were attracted by the whales and seals for their oil and later by the promise of a new idyllic life in colonies such as Dunedin (New Edinburgh) and Christchurch (a Church of England settlement). Later, the awe-inspiring whales, indolent seals and cavorting dolphins met with ‘eco tourists’ intent on capturing them on film and, in the case of dolphins, swimming with them. And let us not forget the majestic Royal Albatrosses, the melodic Parson bird, waddling penguins, bad-tempered sea-lions, dinosaur-era lizards and 2000-year old trees. Why it is called Downunder? 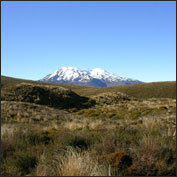 And the diverse terrain of New Zealand soon brought the country to the world’s attention as its adventure capital. It is said that if there is an adventure sport that hasn’t been invented then the chances are someone somewhere in New Zealand is working on it. After all the jet boat was invented in NZ and then just to prove that Down Under is down under A.J. Hackett developed bungee jumping. Then along came black-water rafting and zorbing. Apart from that don’t overlook white water rafting and kayaking, windsurfing, paragliding, hand-gliding, absailing, potholing, ice-caving, glacier hiking, heli-skiing, snowboarding, scuba-diving, lugging, fly-by-wire, and…well, you get the idea. 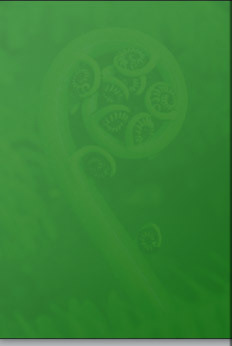 And then there’s the language of New Zealand, which was to be largely English, complemented by a resurgence of Maori language and culture. 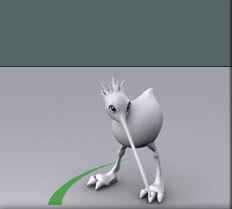 Englishcourses have proven a major drawcard for people from around the world and today they and other forms of education are major revenue earners for New Zealand. Conveniently, all these attractions are packed onto two and a bit islands with hugely varying landscapes and microclimates and a small human population that likes to show off when it comes to visitor hospitality.